CALCH - the history of the lime industry in the Black Mountains of Carmarthenshire. 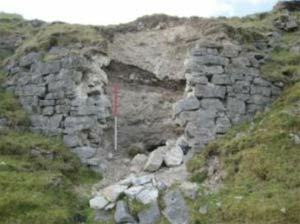 The CALCH project has repaired some of the surviving structures at Herbert's Quarry and has created self-guided trails around the site to encourage visitors. The project has also investigated the history of the lime industry to discover and celebrate its links with local communities. 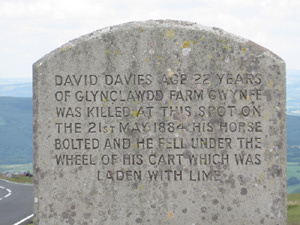 Travellers on the A4069 journeying over the Black Mountain between Llangadog and Brynamman may have noticed a roadside monument commemorating the death of David Davies of Gwynfe, who in 1884 at the age of 22 was crushed to death by his cart laden with lime. 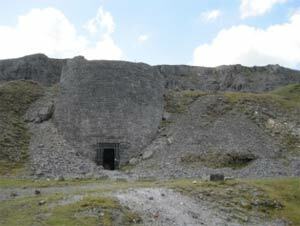 The monument stands in a fascinating and strikingly beautiful landscape of limestone quarries and lime kilns within the Brecon Beacons National Park and the Fforest Fawr Geopark. 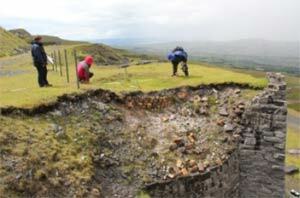 The vital role lime has played in creating the landscapes of the Wales we know today is often overlooked. Its alkaline properties have enabled farmers to transform acid soils into productive farmland; its uses as mortar and whitewash have helped build our towns and cities. Lime and limestone are even crucial to industrial processes such as iron and copper smelting which have helped make Wales world famous. 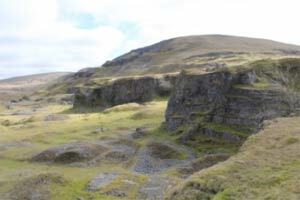 The Brecon Beacons National Park recognises the need to conserve these important industrial remains, and also recognise that improving public access and providing information about the site can attract new visitors and bring benefits to local communities. The Calch Project has made the quarries a fascinating place to visit and to learn about the industrial heritage, wildlife, social history and geology of the area. During the project there were many different events and activities, with opportunities for people to get involved in all sorts of ways. Explore the site to discover what everyone got up to!